Wish you all a very very happy Durga Puja. 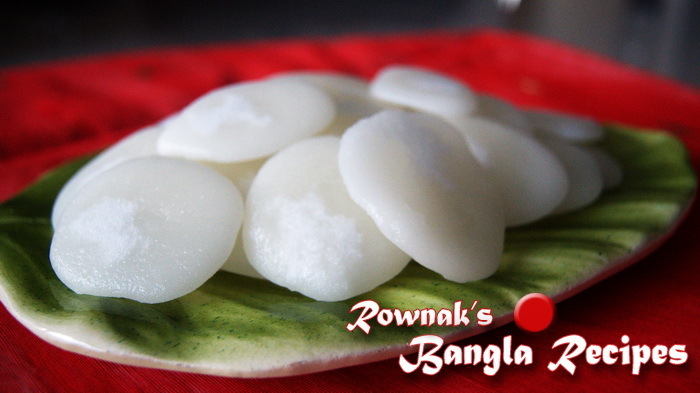 Batasa / Sugar Drop Candy is a very popular Bangladesh. Specially in Hindu Festival it is a must have sweet. Also needs aluminium foil or kula. 1. In a small saucepan, place sugar and water over a medium heat until the sugar is dissolved. 2. Bring sugar, syrup and water to the boil and simmer for 5 minutes. When white bubbles start to show from bottom, stir constantly. 3. Place aluminium foil close to the stove and remove the saucepan from the heat. Add the bicarbonate soda to the saucepan. 4. Pour spoonful hot mixture on foil till you finish the mixture (you need to be quick)and leave to cool. 5. Enjoy Batasa / Sugar Drop Candy which has long shelf life.